Partner ads is an affiliate network based in Denmark. 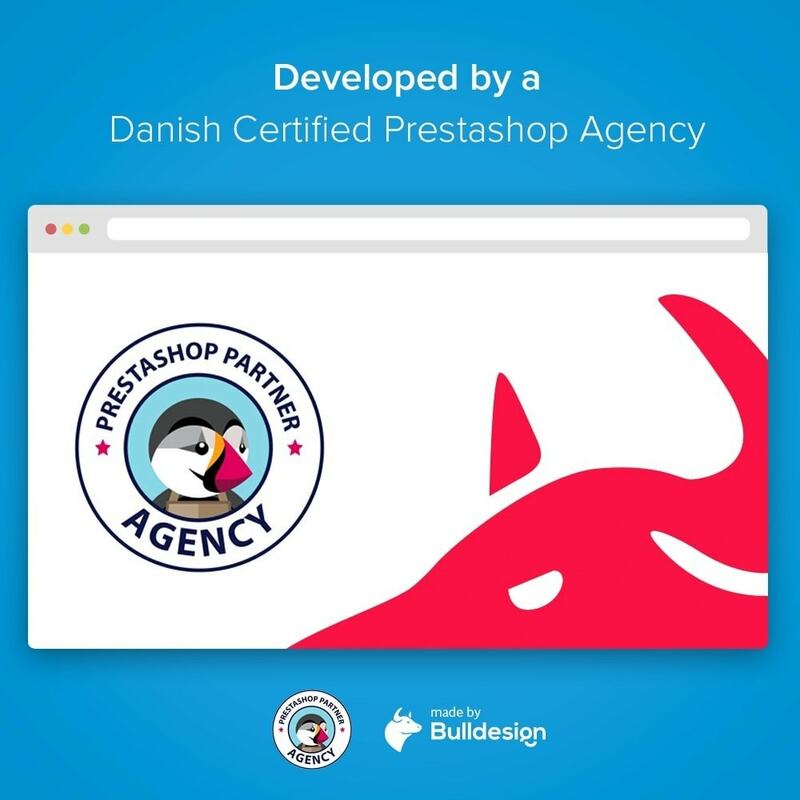 The main focus is Denmark, but there are also have advertisers and affiliate partners from other countries who has activities in Denmark. 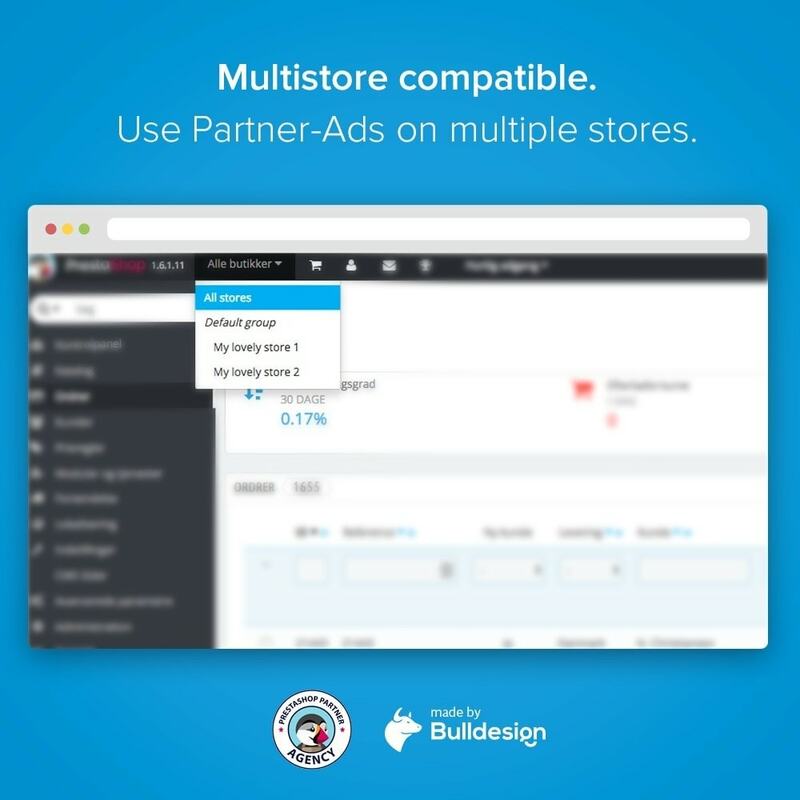 With Partner-Ads you can boost your sales and let bloggers and advertisers show your advertisements! 1. Upload the module to your Prestashop in Modules. 4. 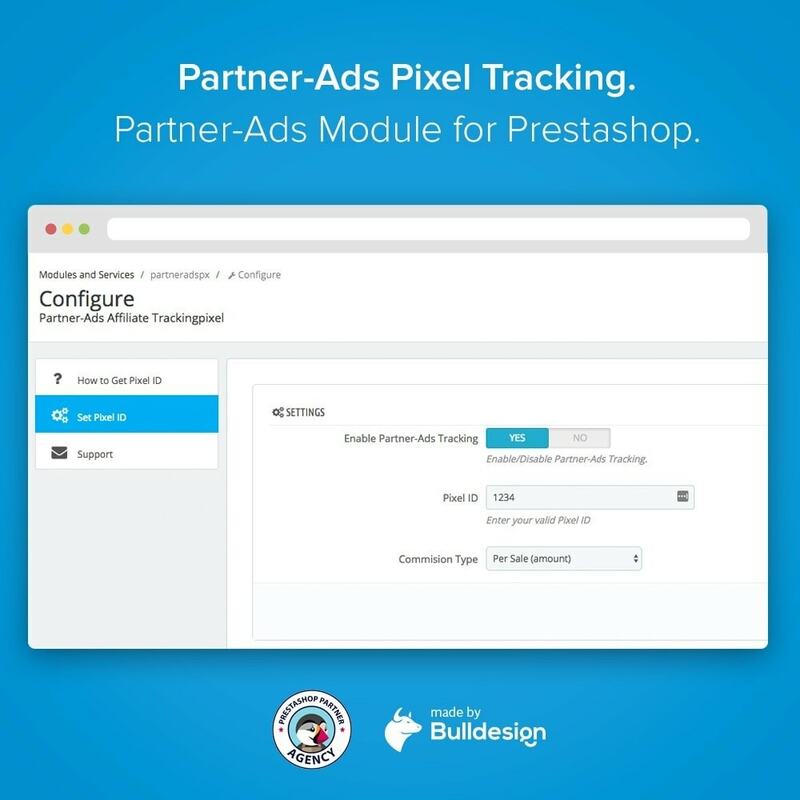 Enter your Partner-Ads programid as the pixel id and choose lead (fixed amount) or commission per sale (%) (depending on your Partner-Ads preferences)."